Birds of prey took to the skies of Aberdeenshire yesterday in an attempt to keep gulls in line during the breeding season – as the local council revealed it had spent almost £200,000 on battling the menaces. 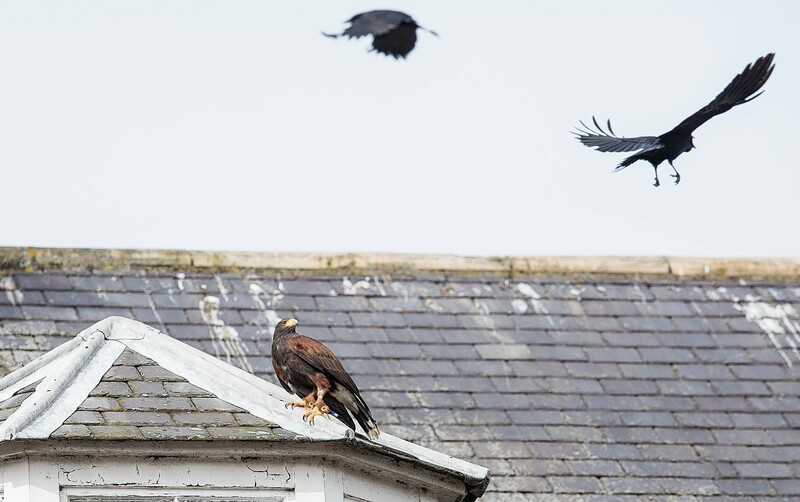 Harris hawks have been drafted in to deter the seabirds from setting up camp on rooftops in Stonehaven, Fraserburgh and Peterhead. 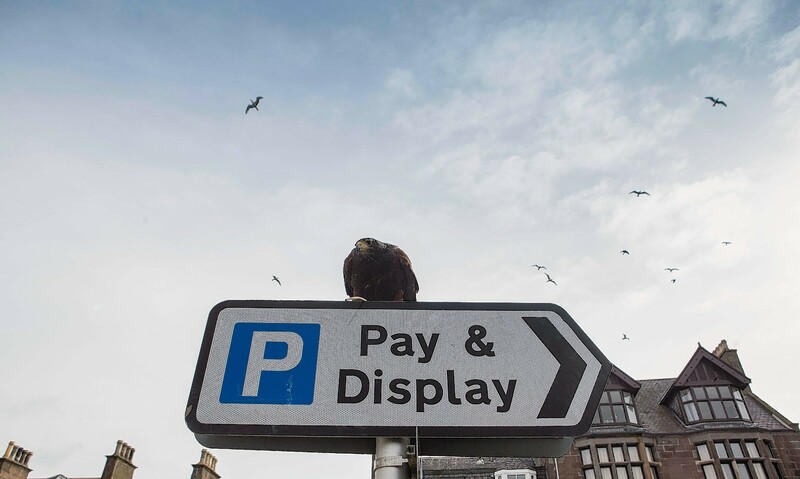 Yesterday the raptors got down to work in Stonehaven’s Market Square, where three-year-old Isla could be seen soaring above the coastal town. Aberdeenshire Council has called in specialists from NBC Bird and Pest Solutions to scare the gulls from settling on properties during the nesting season, which lasts from March until July. Bird and welfare management technician for the firm, Kirsty Imlay said: “This is just the first day – it takes a while and we’ll never get rid of them all completely. “Hopefully we’ll push them back towards the cliffs where they (the gulls) should be nesting. Gulls are a common nuisance across the north-east, and have been known to nab snacks from the hands of unsuspecting people. Isla will be working alongside fellow female Harris hawk Storm in the three towns. Storm hit the headlines last summer when she was filmed apparently coming under attack from fearless gulls in Peterhead. The predator was caught on video flinching as a huge swarm of the bold birds dived towards her, squawking. However, Ms Imlay insisted her charge was simply doing what she had been taught and the gulls’ behaviour was a sign that they felt scared. This year, the council is encouraging communities to take action against the pests and has agreed special rates for residents and business owners who want to have anti-nesting devices put in place on their properties.